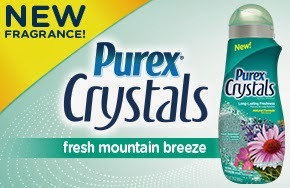 I would like to introduce you to a new product called Purex Crystals Fresh Mountain Breeze. This is not your same old liquid softener but is more Eco friendly. 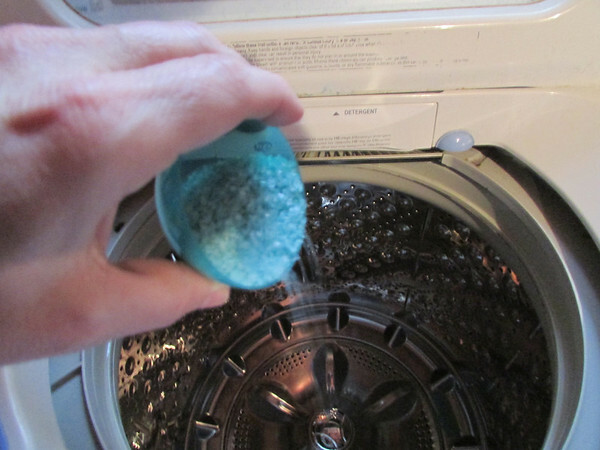 Thanks to Purex I had the opportunity to try the product. Natural formula is safe for your family and the environment because it contains 87% natural ingredients. The crystals were easy to use and measure. I have used it a couple of times and I found my towels softer and were able to absorb water better. The scent was not overbearing and lasted for weeks. The crystals are definitely more convenient,less bulky and safer for my family. So would you like to give them a try? Enter my contest. 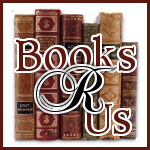 Make sure to Enter the Over the Mountains & Through the Woods Sweepstakes HERE! Close your eyes and take a trip to the fresh, open mountains where flowers bloom, birds sing, and gentle breezes are sure to put a smile on your face. Experience one of our most popular fragrances in the new Crystals format and enter to win the grand prize today! One grand prize winner will receive $500 and 100 additional winners will receive a coupon for a FREE bottle of NEW Purex Crystals Fresh Mountain Breeze. 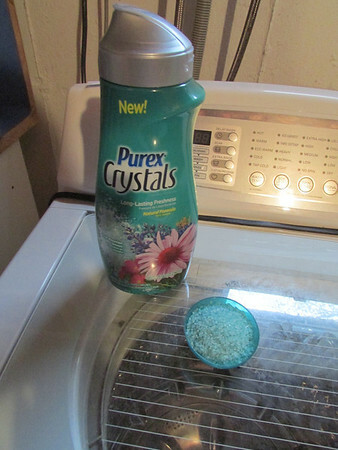 Purex Crystals go in at the start of the wash and infuses your clothes with freshness that lasts for not just days but weeks! Sweepstakes ends 2/03.